Get luxurious apartments in Elita Garden Vista in Kolkata! New Town is fast developing as the ideal destination for home-enthusiasts looking for a classy living infrastructure in the metropolitan city of Kolkata. One such promising residential estate in this city suburb which is bracing up to welcome the residents in December 2019 is Elita Garden Vista. Exquisitely designed, the luxurious 2 & 3 BHK apartments offer an enticing ambience to live one’s life the way one ever wished for. 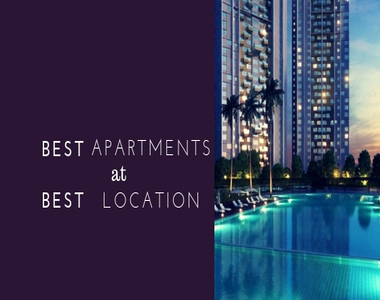 Some of the key highlights of the residency that attracts the attention to make an investment here include the smooth transportation facilities, the easy availability of all the amenities you would need for a pleasant lifestyle, and the enriched infrastructure around the area. Whether it is the commercial or the residential properties, New Town has in the recent years been a witness to exponential all-round growth. Coupled with its fantastic locational advantages, the region throws up big investment opportunities to both homebuyers as well as property seekers. A closer look at the location advantages of the area will show just why you should consider buying an apartment in this residential complex. 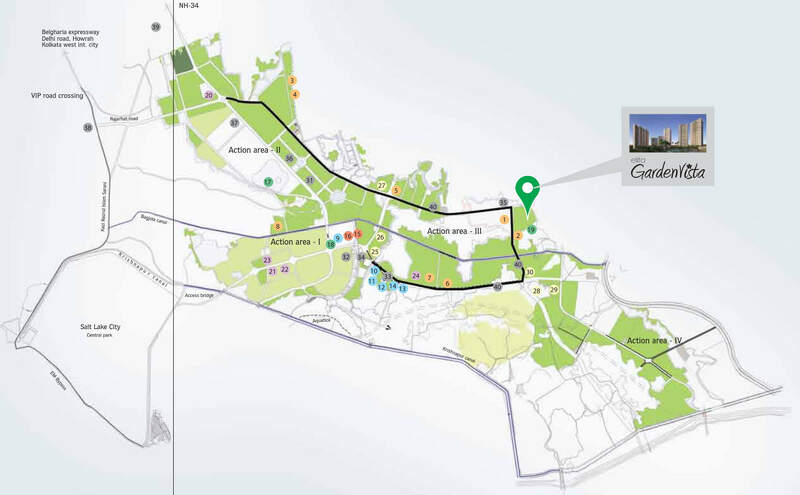 To begin with the airport, it is located only 13 km away from the region. And then, there are a number of schools and hospitals located in close vicinity to the area. The TATA Memorial & Ohio Hospital is located within 6 Kms. of the complex. Other places of entertainment like the Eco Park and Rabindra Tirtha are located within 7 Kms. from the residential area. Several shopping malls and multiplexes have come up in the area in recent years. Important among these are City Centre II, Axis Mall and Hometown, all of which lies within 9 Kms. from the estate. The educational infrastructure is also well-developed in the area. The important institutes include Delhi Public School, Techno India College, upcoming St Xavier’s institution of education and an IIT. All of these lie within 5 Kms. of the region. New Town is also known for its commercial importance. 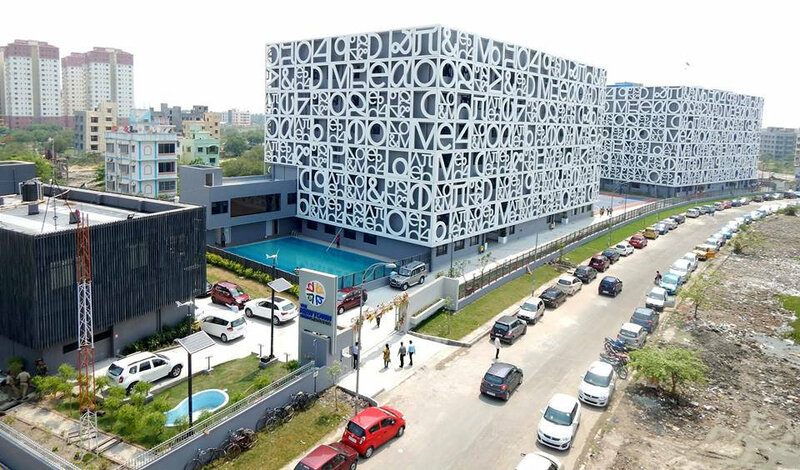 It is located close to Salt Lake Sector V, the IT hub of Kolkata. Important commercial spaces like DLF-II and Infospace are located close to the area. Besides, several blue-chip companies have come up in the region. Employment potential is high in New Town and several families are migrating to the area. Apart from this, the fast transportation facilities in the region connect the people to the other important commercial places. The upcoming east-west metro project is another reason, that is attracting people to the residential complex. You can avail 2 and 3 BHK Apartments in Kolkata the residential estate. 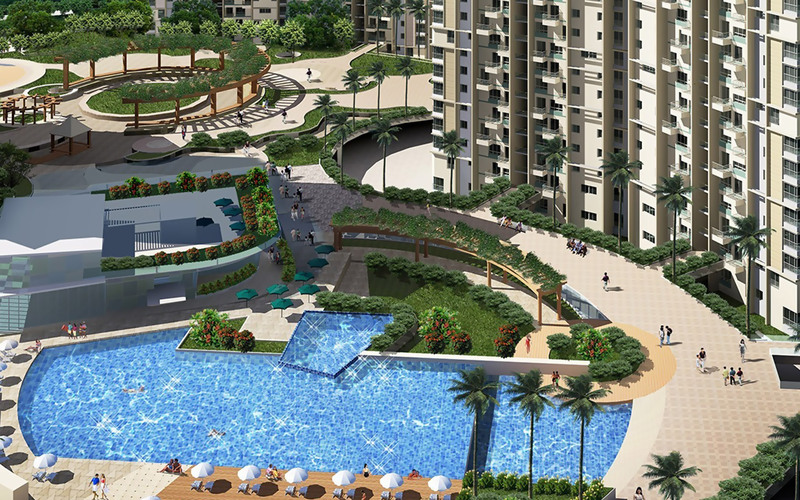 The Elita Garden Vista Price starts from INR 47.94 lakhs and you can get your apartments customised. These have been developed, keeping the interest of the high-end and mid-range buyers in mind. If you are interested in Buying Apartment in Elita Garden Vista Kolkata, this is the ideal time to make your investment. The prices of property in the area are increasing and hundreds of homebuyers are interested in these apartments. Besides, you will enjoy all modern amenities like swimming pool, gym, sports and entertainment facilities and an enriched social infrastructure. Get a luxurious apartment for yourself and enjoy the classy lifestyle, with all the facilities you had craved for.